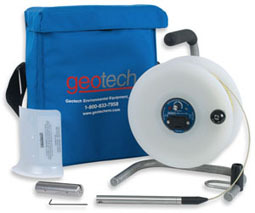 The ETL is on a lightweight steel and aluminum storage reel for easy transportation and durability in the field. The ETL is the ideal choice for depths greater than 500ft or 152 meters. Call for more details.